Mothers simply are superheroes. Even since before we entered this world, they have been our caregivers. They have been there to soothe every cry, dry every tear and put a Band-Aid on every wound. For many of us, our moms are more than just our nurses, chefs and teachers, they are also our best friends and our role models. El Gifto is your portable, affordable personal shopper - helping you to find the perfect gifts for anyone, even Fido! You simply click on the details of who you're buying for, what their personality type is, the occasion, how much you want to spend and presto!... El Gifto presents you with tons of great gift ideas. You're just hours away from Mother's Day and still have no clue what to get your mom. Stop wandering stores aimlessly for ideas and take some direction from El Gifto (free, universal). This app will point you to some presents that your mom will actually enjoy — because no matter how nice of a vacuum you pick out, she will not appreciate the sentiment. Price Check Guru offers a simple solution for those of us who scan the circulars every day looking to see if the prices have moved. This free app allows you to enter a product (either by scanning its barcode or entering its name) and then enter the target price you’d like to pay for the item. A true food connoisseur’s life revolves around sampling the unique cuisines from their area and around the world, but for foodies with allergies, finding something worth sampling can prove to be much more difficult than your average food lover. The sound of a happy, sleeping baby is music to any parent’s ear – but we all know falling asleep can be difficult for many youngsters. Lullaby Karaoke, an exciting new parenting app, puts a unique spin on bed time. It allows parents to record themselves singing along to lullaby favorites and saving the recordings to play back to their children. Lullaby Karaoke offers a fun way for children to be sung to sleep by the sound of a soothing lullaby sung by their parents, grandparents, family friends, or babysitters. Lullaby Karaoke: The Lullaby Karaoke app is a fun bedtime routine app for kids. With Lullaby Karaoke, kids can use a comforting bedtime routine for a good night’s sleep – karaoke! Parents can use this app to sing their babies to sleep each night. This app allows parents to record themselves singing their favorite lullabies accompanied by unique instrumental tracks in the background. So, even if Mom or Dad (or Grandma/Grandpa even) are out of town, they can still sing their little one to sleep! Parents can choose from a variety of the world’s most famous lullabies, as well as choose between 3 accompanying instruments for each lullaby. The ALLERGY JOURNAL app is the perfect tool for anyone who suspects they may have allergies and wants to log their food intake for their doctor, anyone who knows they have allergies and wants to pay closer attention to their diet, or for someone who simply wants to utilize a diet-tracker. The ALLERGY JOURNAL app was created by IBKR and is available on both iTunes and Google Play. Apple’s free El Gifto app is designed to act as a personal shopper. You just select the giftee’s personality type in El Gifto, then specify the occasion and price range, and this app will provide you with gift ideas. You get to see colour images, descriptions and ratings of proposed gifts. El Gifto also lets you make purchases directly from the seller, so that it doesn’t see or store your address and credit card information. You can even set a target price, and set El Gifto to send an alert message when your product of choice has fallen to that level! Gifto - Gift Ideas Guru is a noteworthy Shopping android app that created by IBKR Analytics LLC on Dec 19, 2012, it gets 3.6 stars，over 5000 El Gifto - Gift Ideas Guru apk. El Gifto help you to find the correct gift for each person after the description of his personality! The practice of gift-giving at Christmas is a hallowed – and harrowing – experience. Everyone has that one friend blessed with the ability to pick the perfect gift, one guaranteed to inspire coos of joy from both receiver and company alike. You, on the other hand, just recall that one dud that you suspect now lives a shameful existence at the back of a closet, if it hasn’t already been re-gifted to someone else. This holiday, try using El Gifto. Set your recipient's gender, age, personality type, and your relationship to him or her, and El Gifto will compile a list of gift options that you can then track or buy in a few clicks. 1. Great app for tracking food allergies, 2. or even simply keep a food diary, 3. The new update not only gives the app a completely new. 4. My doctor was impressed too. 5, Finally a simple app to track foods and symptoms, 6. prescription for feeling better download the app, 7. I feel much healthier after downloading this app, 8. run reports to help you analyze collected data, 9. Really like the report export function, 10. The food auto suggest is clutch, 11. report 1 view all symptoms experienced hours after eating food, 12. professional looking interface, 13. this food allergy journal can help you x201c. Looking to save on gifts? Let your smartphone guide the way to savings this season. 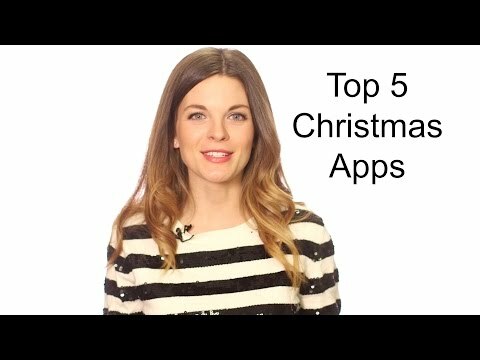 When it comes to making your holiday shopping a little easier, there are a number of apps to put your mind at ease for both the iPhone, Android and Windows Phone platforms. But which ones to choose? Here are a few recommendations. It has a few steps you need to do to get the correct size. It uses a base line size of an everyday item e.g. Credit card or 1 foot ruler or for us Aussies a thirty centimeter ruler. You need to line your foot up with the item next to your foot then take a photo on your phone. I chose an A4 piece of paper. My helper a friend’s 13 year old daughter, Caitlyn, found it easier with a ruler. You know, I have both rulers and a tape measure kicking around my apartment, but I’ll be darned if I can actually find the darn things when I need them. If you hate giving gifts because you don’t know what to buy, then you’ll love the Free iPhone gift app that takes the guess work out of the equation. Still unsure what to get Mom? The El Gifto app for Apple and Android devices is like a digital personal shopper that helps you find the perfect gift for your mom. Such is the nature and manner of the modern life that no sooner does one occasion pass by, another comes calling right on its heels. The holiday season has just got over and the winter has not yet receded yet all of a sudden, there is a certain warmth in the air thanks to the expectant ushering in of St. Valentine’s Day. Love is in the air and all of us are preparing to shower some of it on that special someone. Are you scrambling to finish (or start) your holiday shopping? Don’t worry! These apps can help you select, buy and save money on perfect gifts for your family and friends. It’s December and you need to buy presents, and fast. To help you in your increasingly frantic search for material happiness, we’ve rounded up some of our favorite apps to help you find the best gifts, save money, and save time. You’ve been told to steer into a skid, to not mix beer and wine, and to dare to be drug free. But how come nobody tells you how to survive final exams? These are not just any tests; these are flunk-a-class, delay-graduation, change-your-life type tests, and there’s more to them than just studying. There’s time management, maintaining health, dealing with stress, and trying to still have a semblance of a life outside school. Use these 50 apps to help you streamline the preparation process and come out whole on the other side. Black Friday shopping has many hazards, from battling the elements while spending the night outside Best Buy, to battling the boredom from a long, long wait in a crowded checkout line. Fortunately, you've got that trusty electronic device to make things a little easier. If you are at your wits end looking for the perfect gift for your significant other, try El Gifto. The app generates gift ideas based on certain criteria that you input. El Gifto is a free app that generates gift ideas for all tastes and budgets. All you need to do is type in the gender, age and interests of your significant other and the app will pull up a list of ideas. Although I consider myself a thoughtful person who understands and appreciates each of my friends' unique interests, I cannot escape one unfortunate truth: I am terrible at buying gifts.